There are many ways that you can help make your community litter-free. Here are 8 effective methods. Set an example by not littering. Keep a litter bag in your car and dispose of your trash when you get to your destination. If you see a piece of litter, pick it up and dispose of it. If we all did this every day, we could dramatically decrease the amount of litter. Teach your children well. Show them the difference between a litter-free area and an area spoiled by litter, and stress why it’s important to dispose of trash properly. Emphasize the impact that litter has on wildlife and marine animals. Make sure that your trash cans have lids that are attached securely. If you have curbside trash service, don’t put out open containers or boxes filled with trash. If your town provides curbside recycling bins, tie papers in a bundle before placing them in your bin. Loose papers and other recyclables can be blown around by the wind. 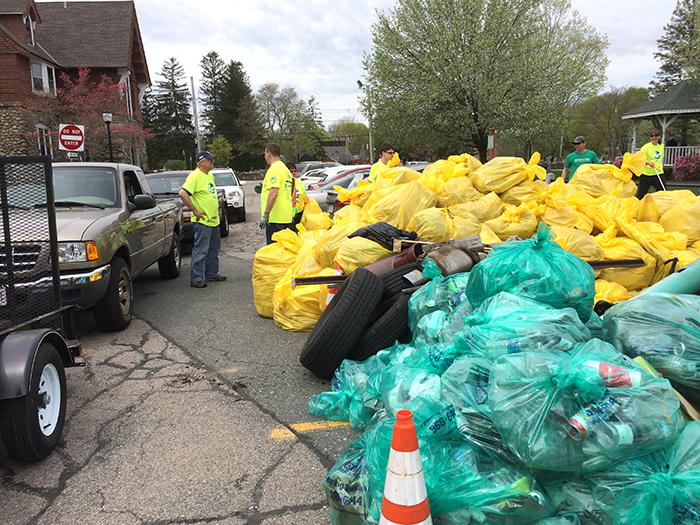 If you or a member of your family is involved in a civic group, scouting, or recreational sports program, encourage the group to become involved in a cleanup. Have the group “adopt” an area and maintain it on a regular basis. If you own a construction or hauling business, make sure your trucks are covered when transporting material to and from sites. Use fencing around construction or demolition sites to prevent debris from being blown into other areas. The most successful way to prevent littering in your community is to have an ongoing, organized program that involves residents, local government, businesses, civic groups, and schools. 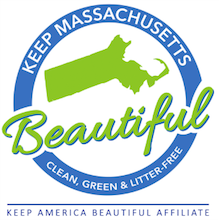 Learn about the benefits of launching a Keep Massachusetts Beautiful chapter in your community.